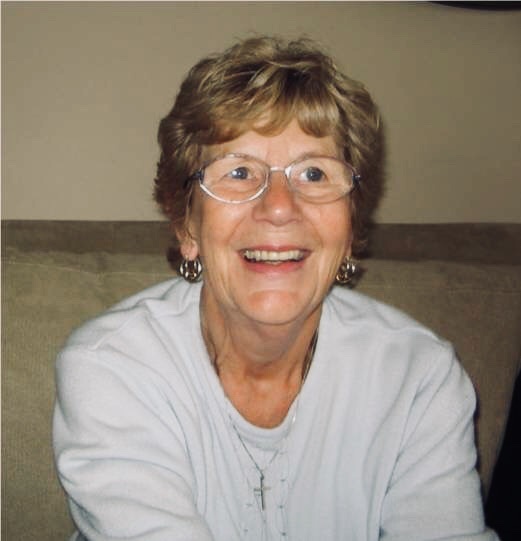 Isabel Elizabeth (Betty) Short passed away peacefully on April 22, 2018 at Bethany Care Centre in Cochrane, Alberta after a lengthy struggle with dementia. Betty was born in Winnipeg, Manitoba on October 12, 1934 to Phyllis and John Robinson. In 1952, Betty married William (Bill) Short and together they had five children. They spent several decades moving around Canada and the USA before settling in the Calgary area. Betty’s many enjoyments included children, her dogs, singing in the church choir, performing as a member of the Sweet Adeline’s, and creating photo calendars on her computer. Throughout her life, Betty attended several churches where she made many meaningful friendships. Betty is predeceased by her parents Phyllis Gandy and John Robinson, her siblings Allan Robinson and Shirley Madson, her children William (Billy) Short, Gary Short, Janice Brown and her son-in law Rick White. She is survived by her children Allan Short and Cindy White, her grandchildren Allan Short Jr., Jason Short, Keith Short, Trisha Herbert (Aaron), Sarah White, Amanda Androsoff (Clayton), Colin Brown and Chevy White, her great-grandchildren Angelina White, Lucas and Lena Androsoff, her daughter-in-law’s, Ollie, Francine and Irene Short, as well as numerous cherished nieces, nephews, cousins and friends. A memorial service will be held at 1pm on Monday, April 30th at the Cochrane Alliance Church. In lieu of flowers, donations can be made to the Alzheimers Society of Canada or the Bethany Care Centre in Cochrane, Alberta. It’s a comfort to know, we’re never alone.